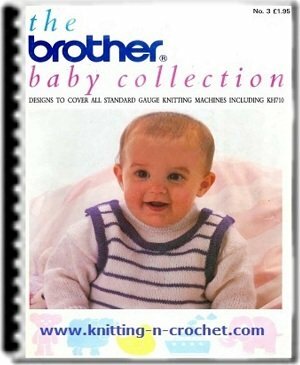 15 Beautiful machine knitting baby patterns by Brother. 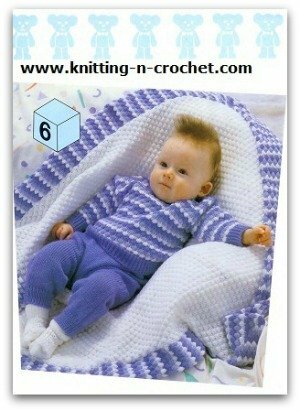 This is an ebook of 15 great baby patterns for the machine knitter.The youngest members of the family are often neglected. 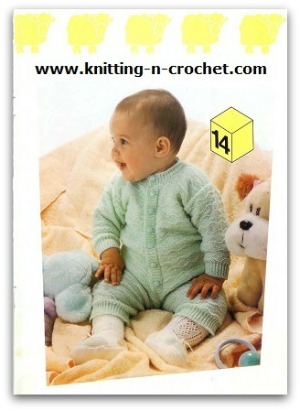 This collection will help to correct this problem and give you many ideas for gifts. 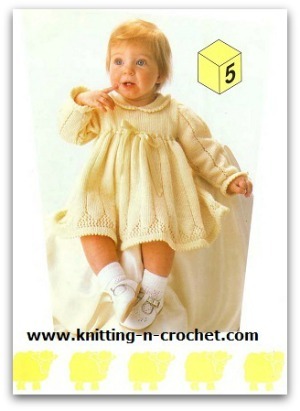 From the ALL-IN-ONE, CARDIGAN AND SHIRT to the STUNNING CHRISTENING ROBE and everything in between you will have many hours of creating these gorgeous outfits . All patterns are pictured so you will know exactly what you are getting with no dissappointing surprises. This is a a beautiful book and will be the inspiration for many years to come. 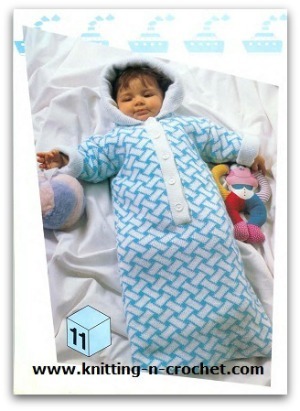 There are designs for all seasons including some in cotton for the warmer summer days. 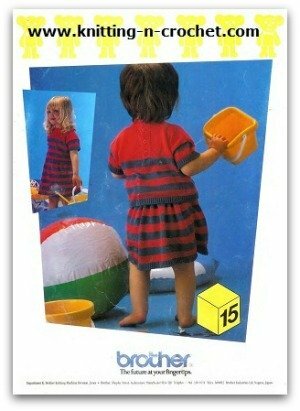 Each design has clear, easy to follow instructions in several sizes together with size diagrams especially useful for those with a knit leader. 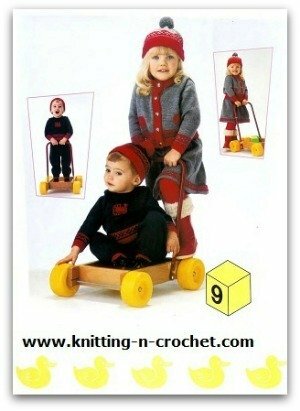 Group A machines, --	24 stitch pattern repeat. Groups B machines. 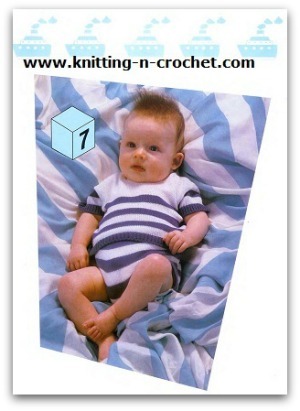 – 8 stitch pattern repeat. Group C machines – electronic or by hand selection. 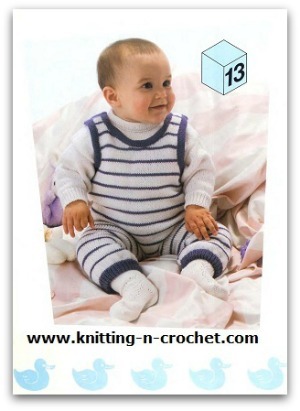 Unless the pattern specifies that a ribbing attachment is required, welts, cuffs and neckbands can be knitted using a 2 x 1 continental or double rib. (See instruction manual for directions). 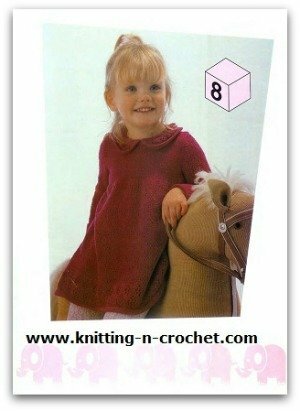 To knit rib cast on with waste yarn, and use a tension 2 whole numbers tighter than the main tension and using waste yarn, you will want to knit twice as many rows for rib as given in the pattern before making hem. Where an odd number of stitches is specified the extra stitch should be brought into B position at the right hand side of machine, unless the individual pattern says otherwise. 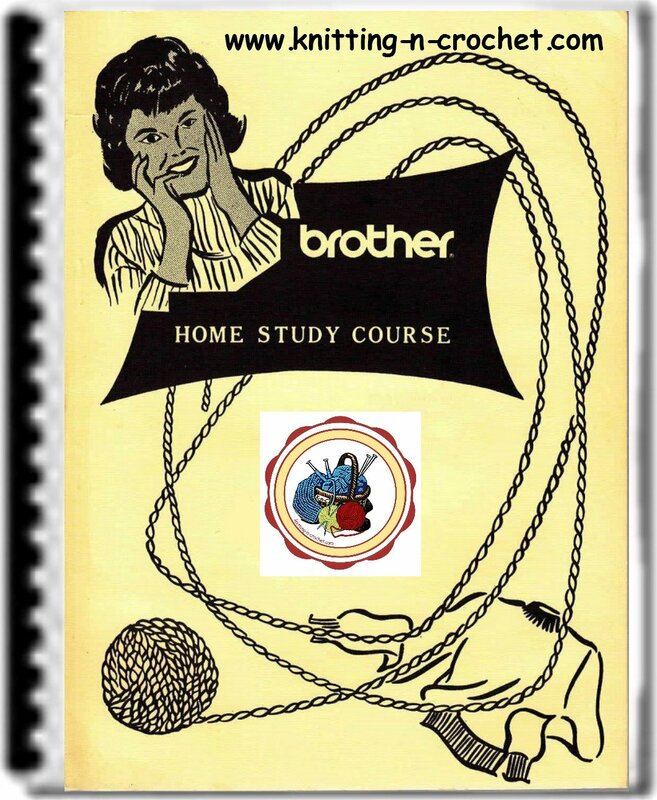 The ebook includes, written knitting structions, punch card diagrams and measurement diagrams. 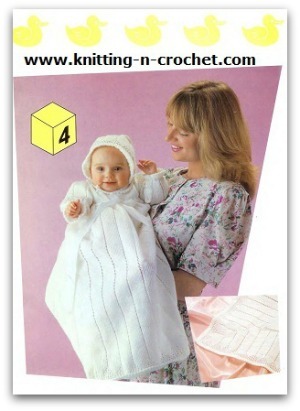 This all aids you in making the perfect garment. 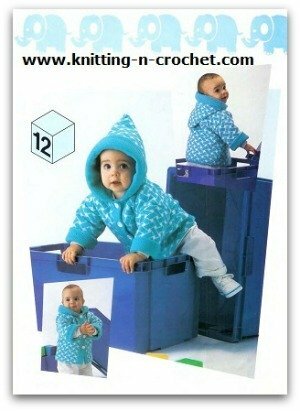 Assembly directions, even pressing instructions as nothing is left out for these timeless pieces.